Do you want a world where every girl and woman can decide what to do with her body, with her life and with her future? It's time to take action! You've taken the first step by signing the SheDecides Manifesto – thank you! However, there are still steps to take before she is free. To use contraception. To access abortion safely. To feel pleasure. To decide. 8 weeks. 8 challenges. On 3rd June, thousands from all over the world will gather together in Vancouver at the Women Deliver 2019 Conference, to discuss how the power of movements can drive progress. In the run up to this incredible event, SheDecides will be launching a series of simple, but powerful challenges for you to complete. For the next 8 weeks, SheDecides is challenging you to stand up and speak out as part of a global effort to raise awareness, to educate and to inspire others around the world to change the norms that stand in the way of the freedom, rights and dignity of women and girls. Use this page as your hub to review new challenges, track progress and Buddy Up! * with likeminded Friends across the globe. With over 140,000 Friends in 183 countries, this is your opportunity to use your voice on a global stage. 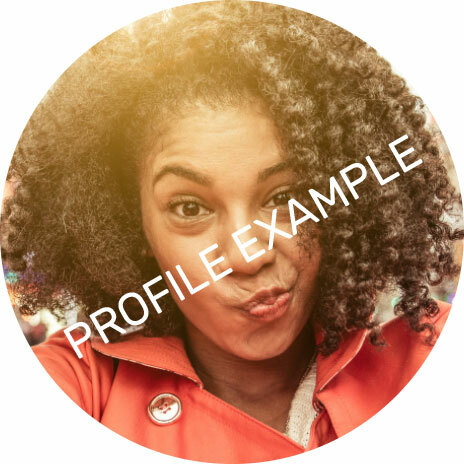 Now you can personalise your profile! Please note, once you have submitted your profile, you can not change it! Get Connected with a Buddy! We - and you, and he, and they - are uniting. Standing together with her so she can make the decisions only she should make. This is why SheDecides is encouraging participants in the #8WeekChallenge to Buddy Up! with other Friends around the world. Simply agree to Buddy Up! to join forces to create a world that is better, stronger, safer. Track progress and encourage each other to keep going wherever you are in the world!